Saucer of hard-paste porcelain painted with enamels and gilded, decorated with an Imari palette. 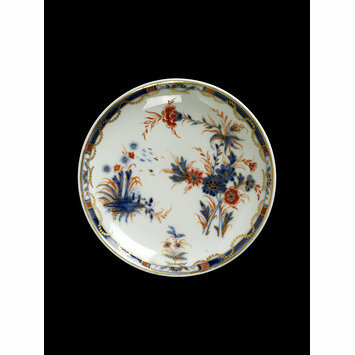 Painted in underglaze blue, red and gold with sprays of flowers. Border of panels and festoons. 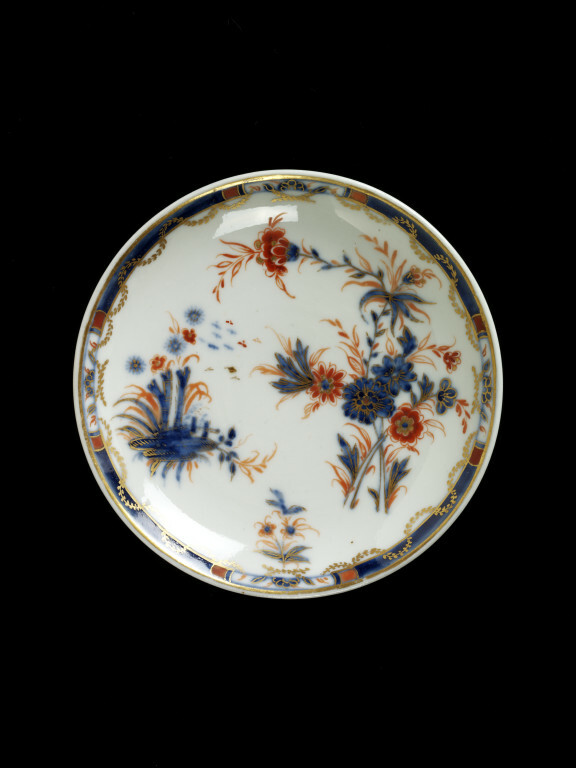 Saucer of hard-paste porcelain, Doccia porcelain factory, Doccia, late 18th century.